The First World War was an unprecedented catastrophe that killed millions and set the continent of Europe on the path to further calamity two decades later. But it didn’t come out of nowhere. With the centennial of the outbreak of hostilities coming up in 2014, Erik Sass will be looking back at the lead-up to the war, when seemingly minor moments of friction accumulated until the situation was ready to explode. He'll be covering those events 100 years after they occurred. This is the 69th installment in the series. Bauer’s condemnation was based in fact. Conrad was an old-school Austrian German who viewed southern Slav nationalists as existential enemies of the Dual Monarchy, with Serbia in the lead. The huge expansion of Serbian territory and population in the First Balkan War alarmed Conrad, who warned the Serbs would now turn to liberating their ethnic kinsmen in Austria-Hungary. It was imperative, Conrad said, to break the momentum of Slavic nationalism by crushing Serbia and reducing it to a vassal state—maybe even absorbing it. Of course he realized this might bring war with Serbia’s patron Russia—but he believed Austria-Hungary stood a fair chance as long as it had Germany at its side. Conrad's call for war against Serbia became louder and more urgent over the course of the First Balkan War. On January 9, 1913 he told the foreign minister, Count Berchtold, that Austria-Hungary had “lost its position in the Balkans” because of the rise of Serbian power under Russian protection, adding that “Russia must be overthrown,” and repeated the advice in a memorandum prepared for Emperor Franz Josef on January 20. On February 15, 1913, he warned the German chief of staff Helmuth von Moltke that Slavic nationalism was a threat not only to Austria-Hungary but Germany as well, which would “in the end penetrate through to the very marrow of Germany.” At a meeting of the Dual Monarchy’s ministers on May 2, 1913, during the Scutari crisis, Conrad called for the defeat and annexation of Serbia’s sidekick Montenegro, which would probably lead to war with Serbia as well. The peaceful resolution of the Scutari crisis seemed to remove any justification for war against Serbia and Montenegro, but Conrad remained convinced the Slavic kingdoms had to be crushed militarily, not just contained diplomatically—and also saw another chance for Austria-Hungary to act in the impending Second Balkan War. On May 20, 1913, he wrote to Franz Josef: “Fate once more today would offer us the opportunity for a solution; it was not impossible that Serbia and Greece might get involved in a war with Bulgaria. Then we must not hesitate to intervene against Serbia.” In fact, Conrad urged Berchtold to conclude an alliance with Bulgaria directed against Serbia, taking advantage of Bulgarian anger at Russia (which failed to protect Bulgarian interests against Serbia and Romania) to upend the balance of power in the Balkans. But Austria-Hungary’s German ally was skeptical about a Bulgarian dalliance, and Berchtold let the idea drop. Ironically, Conrad’s main opponent in the debate over the Dual Monarchy’s Serbian policy was the Archduke Franz Ferdinand, who wielded a great deal of influence as the heir to the throne and inspector general of the armed forces. 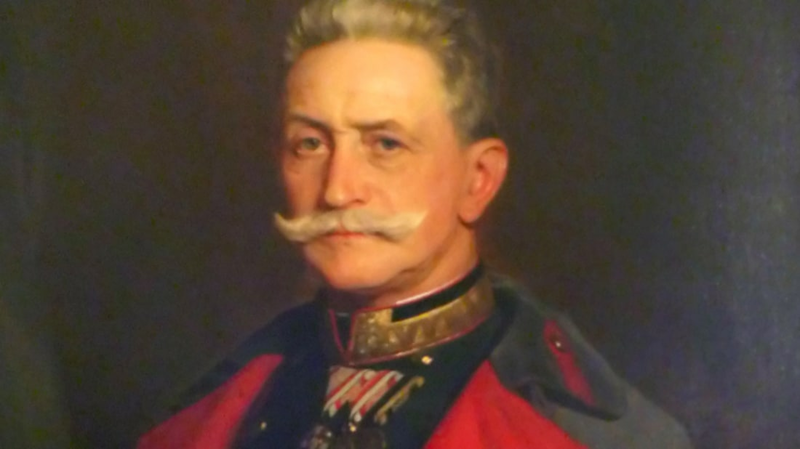 The archduke made his views known in no uncertain (and often abrasive) terms: The real long-term threat to Austria-Hungary came not from the small Slavic kingdoms in the Balkans, but rather from Austria-Hungary’s supposed ally Italy. While they were technically partners in the Triple Alliance with Germany, it was common knowledge that Italian nationalists loathed Austria-Hungary, which included areas they considered historically Italian in Trentino and Trieste; although the Italian government tried to conciliate Austria-Hungary, the nationalists wanted to liberate these irredenta (“unredeemed” areas) and unite them with Italy. They were also infuriated by the oppressive, discriminatory policies Austria-Hungary directed against its restive Italian population. Franz Ferdinand felt war with Italy was probably inevitable, and therefore opposed any policy that threatened to distract or weaken Austria-Hungary by embroiling it in conflicts elsewhere—especially in the Balkans, with the attendant risk of confrontation with Russia. And although he originally supported Conrad’s appointment as chief of staff because they agreed about the Italian threat, the two men soon fell out over the issue of war with Serbia (typically, Conrad wanted war against Italy and Serbia). As often as Conrad brought up the idea, the archduke would shoot it down: After rejecting Conrad’s proposal for war with Serbia in a personal conversation on December 14, 1912, on March 15, 1913 he scolded Conrad for mentioning the idea to Franz Josef and ordered him to drop the subject. Later, in September 1913, Berchtold told Conrad his hands were tied, citing Franz Ferdinand’s opposition to the idea. It is one of the ironies of history that the archduke’s assassination by a Bosnian Serb nationalist removed the one person who might have been able to prevent Austria-Hungary from declaring war on Serbia. While the Great Powers struggled to keep the peace in the Balkans, to the east they were all jockeying to claim their share of the ailing Ottoman Empire, whose demise they expected at any moment. The main threat came from Russia, whose designs on Constantinople and the Turkish straits were well known, and which was also greedily eyeing Anatolia. 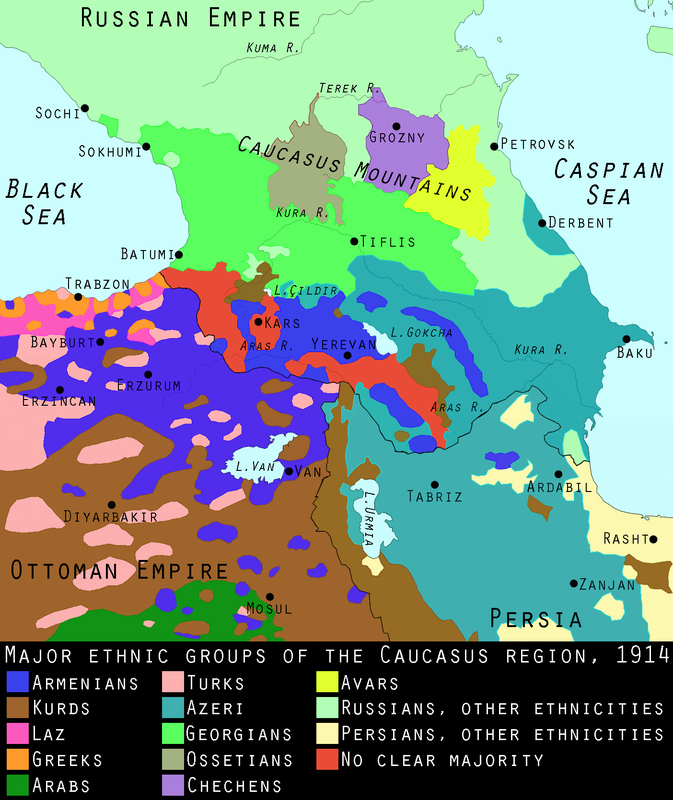 Here St. Petersburg was using the Armenians and Kurds as pawns in a devious gambit to build its influence there: Essentially, the Russians were arming the Muslim Kurds and encouraging them to attack the Christian Armenians in order to have a pretext for Russian intervention on Christian “humanitarian” grounds, while simultaneously fostering Kurdish and Armenian nationalism in the hopes that both groups would rebel against Turkey—thus clearing the way for Russia to scoop up the Ottoman Empire’s Kurdish and Armenian territories for itself. The Russians sought to further weaken Ottoman control by forcing Constantinople to implement decentralizing reforms in eastern Anatolia. Of course, Russia’s designs on Anatolia set off alarms in other European capitals—especially in Berlin, where Germany’s leadership feared they would get left out in a general scramble for Turkish territory. On May 20, 1913, German anxieties were heightened by a report from the German ambassador in Constantinople, Baron Hans von Wangenheim, stating that the Russians had succeeded in uniting the Kurdish tribes in Ottoman territory—no easy feat—as a preamble to a general rebellion. Not coincidentally, the next day diplomats from all the members of Triple Alliance hurriedly met to discuss how to maximize their gains in a division of the Ottoman Empire’s territories in Asia. Previously, on April 30, 1913, Kaiser Wilhelm II vowed that when the Ottoman Empire disintegrated, “I will take Mesopotamia, Alexandretta, and Mersin!” (referring to two Mediterranean ports in southeast Turkey). Little could he have predicted that the Great War would find Germany on the Ottoman Empire’s side, helping protect Turkish territory against British, French, and Russian imperialists.